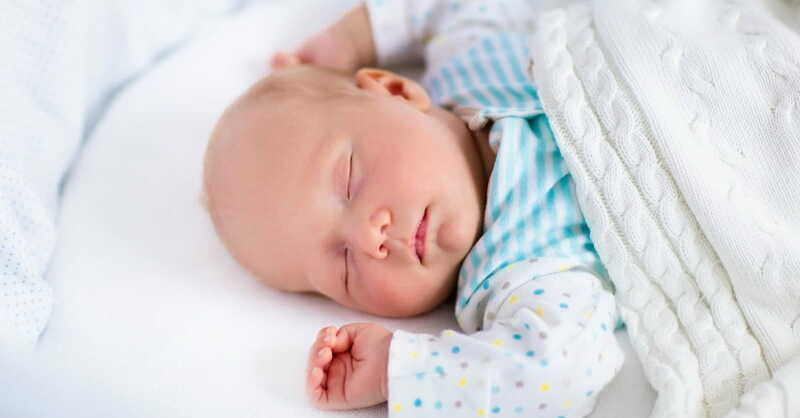 Welcoming a new child into the family is a joyous occasion for all, but the additional expense associated with a new bundle of joy can also be a big worry for some parents, especially in this economy. A recent survey found that the average American family spends a whopping $2,577 on baby-related items when a new baby comes home. Luckily, there are plenty of resources available to help bring down the cost of all the "things" you need for a newborn baby. New parents, take note: online classified websites and places that offer nearly-new items for cheap or even free will serve you well. Believe it or not, the baby won't know the difference between a new crib and a gently-used one. The summer months are most common for new arrivals. That means many expectant parents are looking right now to purchase baby-related items, and need to find the space in their homes to store them. Here are a few ideas to help new parents find the items they need without spending more than they can reasonably afford. Secondhand sites. Venture beyond the old standards like eBay.com and Craigslist.org. Posting "wanted" ads for furniture and infant accessories at FreeCycle.org could turn up treasures that are absolutely free and connect you with other young parents in your neighborhood. Also, don't overlook second-generation classified ad websites like Kijiji.com ("Kijiji" means "village" in Swahili). This is a free, local, family-friendly website that caters to over 1,000 cities and countries around the world. Kijiji's staff takes every precaution to make sure that local families have a safe place to buy, sell, trade and connect. Mommy exchange. Purchase the items secondhand that babies grow out of quickly. Look for gently used cribs, rocking chairs, changing tables and strollers. Then, as your baby grows out of them, re-list them on the Internet for other local mothers to enjoy. Hold off on hand-me-downs. As their children graduate from strollers to tricycles, most parents decide to donate those expensive baby items or hand them down to a friend or family member. However, the items their child no longer uses could easily earn them much-needed cash. Only 7 percent of parents said they resell baby items once their child has outgrown them, which means a whopping 93 percent of parents are missing out on potential cash. Make the most of your space. Stop house-hunting out of your price range just because you're bringing a little one home. Instead, find "hidden" storage space in your current residence. Use hooks, bookcases, shelves and ceiling racks to create extra space. Over-the-door shoe racks are also great for organizing baby's various lotions, potions and small accessories. Re-purpose a room. Think outside of the box when considering how to use the rooms of your home. Transform your dining room, guest room or home office into a nursery, or carve out space for baby in your living room or bedroom. Hang screens, shelves, curtains or have a temporary wall built to separate each space. Do you have great money-saving ideas for new parents? Share them at my blog, Money Rules, Debt Stinks! Copyright © 2009 Mary Hunt. All rights reserved. Permission to reprint required.